If you’ve been (seriously) modelling in sketchup, chances are you’ve been plagued a sketchup bug splat. They’re absolutely frustrating, but you can take some proactive steps to avoid (or at least reduce) them. The best way to combat losing work from bug splats is by being proactive. Make sure to save early & often. If you came across this page after experiencing a bug splat, all of your progress may not be lost. By default, sketchup saves backup files with a *.skb extension. To reclaim your file… Make a copy of that *.skb file & change the extension of your copy from .skb to .skp. If for some reason sketchup isn’t saving backup files go to Window Tab>Preferences>General and make sure your settings match the below image. The Latest & Greatest – If you’re using Google Sketchup there’s a problem. Google hasn’t owned sketchup since 2012! Go download the latest version of Trimble Sketchup. This alone might stop a sketchup bug splat. Purge Unused – Every component you import into your model stays in the model even after you delete it. That’s great when you want to bring a component back to life that you had previously deleted. It’s not great for your file size. Periodically you need to purge unused components from your file. Doing so will reduce your file size and stop some of those sketchup bug splats. 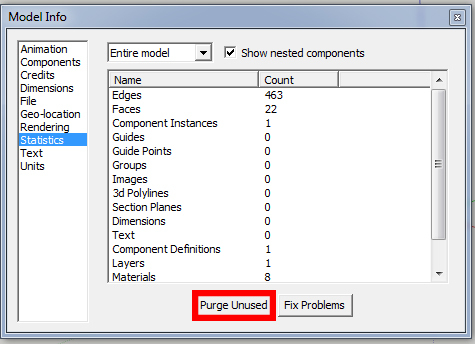 To purge unused, go to the Window Tab>Model Info>Statistics>Purge Unused. While you’re there you might as well click the Fix Problems button for good measure. Untheme Things – If you’re modelling with styles and shadows on, consider making a scene that has shadows off and using a default style. Some of those sketchy styles can really slow down the program and lead to crashes. Hidden Items – Make sure there isn’t a ton of hidden geometry in your model that you’re not aware of (especially if you’ve been importing components from the 3dwarehouse). To see hidden geometry go to the View Tab>Hidden Geometry. You delete hidden geometry the same way you would delete anything. 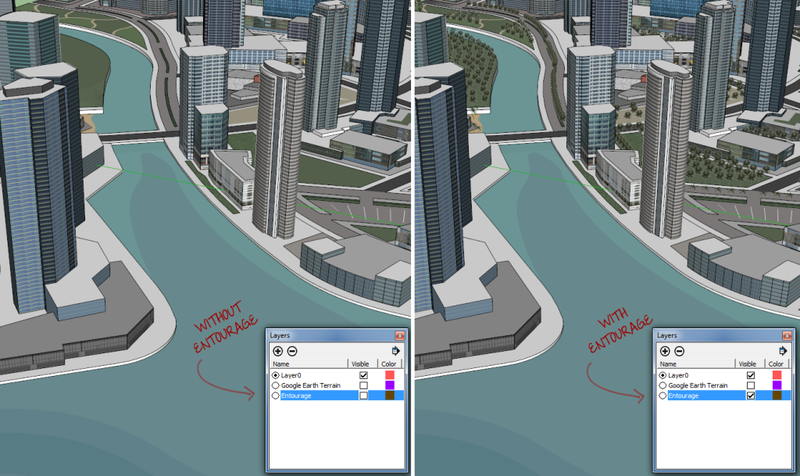 Scene Names – Sketchup suggests that having unusual characters (IE. / * ? < > \@ # ) in your scene names might cause problems. If you have any, give your scene names a makeover. Layer Man – If there are heavy components like 3d trees or cars that you have in your model consider moving them to an entourage layer. Toggle the visibility of this layer off until your ready to render or export an image file. Abandon Ship – It is possible that the file you’re working in is corrupt. Copy all of the 3d data in your existing file and paste it into a fresh file. 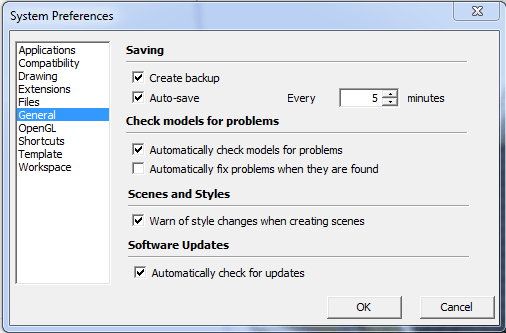 Graphics Driver – Sketchup recommends that you update your graphics card driver. Plugin – If you recently installed or updated a plugin it may be the source of your bug splats. This also may be the case if your getting bug splats when you try to create a new file. Uninstall the plugin. Massive File Size – If you get a sketchup bug splat when you try to open a file, look at the file size. Is it massive (meaning 10 mb or more)? It is very important that you be conscious of keeping your file sizes down by using components and maximizing effectiveness of every polygon you create. Try opening your file on a heavy duty machine and getting rid of some things you don’t really need. If you have items modeled that you’ll never see get rid of them. If you haven’t already, follow step 2. The Upgrade – If none of the above work you may need to upgrade your system. Look at the sketchup system requirements to help you with your new hardware selection. If you’re looking for more, we have more helpful sketchup tutorials on how to make sketchup run faster & how groups and components affect file size. Have you noticed any other ways of avoiding a sketchup bug splat? Share it in the comments below!